The Heavy Metals T-Shirt is a funny science t-shirt made for science geeks and people who love puns. This shirt has a colorful design that takes a cheesy science pun to the next level. 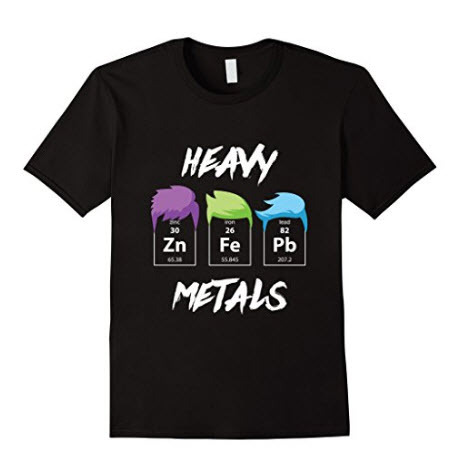 The Heavy Metals shirt makes a great gift for science lovers and a nice humorous addition to any wardrobe.